A major sticking point in the Coates-West feud was the discussion of Barack Obama and Malcolm X in We Were Eight Years in Power. Given the chapter on Malcolm in Between the World and Me, I anticipated a thought experiment exploring what would Malcolm say about Barack Obama’s presidency. While that didn’t happen, after Cornel West published his bombastic critique, many Black intellectuals weighed in. And there were a lot of Malcolm references to talk about Malcolm’s internationalism, his critique of power, and even critiquing West for hanging out with Malcolm’s rival, Louis Farrakhan. Yet, all of these references failed to explore Malcolm #BeingBlackandMuslim and what did that mean during the Obama years. While valorizing Black Muslim heroes like Muhammad Ali and Malcolm X in their death, mainstream Black civil rights leaders, public figures and even activists act as if we are historical footnotes. We’re still here. Black American Muslims in Detroit, Minneapolis, Boston, Philadelphia, and Los Angeles were targeted by harmful policies during the Obama administration. We still are targeted, but our plight is often erased in Black spaces. How do we write a whole book about Executive Power without talking about how that power was weilded against Black and Brown bodies in the U.S. and abroad? It’s a legit question that Muslim Americans had and one reason why aspects of West’s critique resonated with many us. During Obama’s administration there are segments of Black America that were subject to similar COINTELPRO policies that helped create the conditions for Malcolm’s assassination. It was during the Obama administration when imam Luqman Abdullah was killed by federal agents. Only the local Boston chapter of Black Lives Matter brought attention to Usaama Rahim’s killing. Often, when high profile Black activists, even radical ones, talk about Muslims they imagine they are talking about people “over there” or immigrants. Yet, one third of American Muslims are Black and we are especially targeted by National Security system and criminal justice system. Given that climate of entrapment, career damaging investigations, and public drudging, many Black Muslims were highly critical of the Obama administration. Yet his symbolic victory was not lost on us. Nor was it lost on those of us who were invited to the first and likely last 2016 eid celebration at the White House that was hella Black. COINTELPRO is not a historical concept when you have informants in our spaces of worship, volunteering for your organization, and FBI agents showing up at your trainings. Nor is it a that far off when you have your whole community fighting about a partnership with DHS to investigate your own community. Drones and bombings are not an abstract concept when you have to comfort a mentor whose families members were obliterated by US made missile. Nor is the no fly list a abstract issue, when your key participant is detained at an airport and misses their flight to your event. Rendition or secret detention is not just a political thriller when you’re at a baby shower hugging a wife whose husband was disappeared in a foreign prison. Dr. Su’ad Abdul Khabeer reminds us, we Black Americans need to contend with our relationship with empire. She had a simple but powerful letter to deliver to Obama that day. We have to look at the tools and tactics that the main beneficiaries of white supremacy use to maintain their advantaged position. Sometimes, we are its tools. Just as we suffer in this country, we cannot turn away from the collateral damage of white supremacy. They are the undocumented laborers, the Black and Latino kids pipelined into prison, the indigenous people fighting for sovereignty and environmental sanctity. There are many who are getting crushed in the systemic mechanism, and it is not accidental. Their sweat, tears, and blood are being used as a lubricant for the gears to work together. If we cannot find another social lubricant, other than suffering, for the gears to move, then we must build better social mechanism that renders white supremacy irrelevant. If Black public intellectuals are going truth tellers shining light on White Supremacy to massive audiences, then their light needs to multipronged and not cast those of us at the intersections into the shadows. This is why much of my focus last year was in making the connections. I sought to explore the ways in which the criminal justice system, immigration system, and national security system targets Black Muslims by bringing together organizers from Undocublack Network, Black Alliance for Just Immigration, Prison Education Project, Black Liberation Project, Partnership for the Advancement of New Americans (PANA), and more. I’m hoping that in 2018 Black kinfolk can work together more. I’ve been reaching out for the past few years, and I’m hoping that some of y’all respond to my call because we need our kinfolks now more than ever. Often, when we talk about the history of Islam in America, we focus on the great men and their big ideas.This month in looking at the BlackLivesMatter Movement through the life and legacy of Malcolm X, I have often thought about the thought of the many women who were were also part of the our nation’s freedom struggle. Many Muslim Americans know about Malcolm X, but few know about the women in his life. Few of us consider the role that many of our sisters who were pioneers of establishing Islam in America, such as Clara Muhammad the wife of Elijah Muhammad. 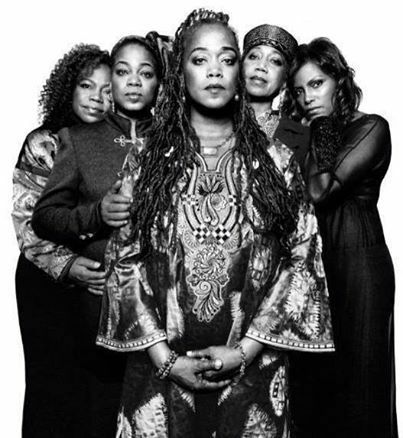 Just as we remember Malcolm, we should know about Ella Collins, Betty Shabazz, and his daughters Attallah Shabazz, Qubilah Shabazz, Ilyasah Shabazz, Gamilah Lumumba Shabazz, Malikah Shabazz and Malaak Shabazz. All of these women have carried the burden of maintaining his legacy. And if we are the honor the man, we should acknowledge the women who contributed to his life and help maintain his memory. While few of us recognize Ella Collins (1914-1996) as a seminal figure in American Muslim history, the Islamic Society of Boston Cultural Center honors her civil rights legacy with the Ella Collin’s Institute (ECI). The half sister of Malcolm X, she was responsible for recruiting Malcolm X into the Nation of Islam, although Spike Lee’s film biopic of Malcolm X erased her. Throughout his life she was influential, having helped raised the young Malcolm Little after his father was murdered and mothered suffered a nervous breakdown. She was an activist who had worked for the first Rev. Adam Clayton Powell. According to her obituary, Ella Collins advised her half brother to embrace orthodox Islam and she funded his pilgrimage to Mecca. After his assassination, Ella Collins maintained the Organization for Afro American Unity after his assassination. While her role in supporting Malcolm X is noteworthy, Ella Collins’ life history as a business woman who set up schools and worked in civil rights is noteworthy in and of itself. By looking at her life, it becomes clear that women played a central role in the civil rights movement and in instituion bulding in the Black American Muslim community. Betty Shabazz (1934-1997) was invited to Nation of Islam meetings. After attending several meeting wehre Malcolm X preached, she joined in 1956. Following two years of courtship, they married in 1958. Betty Shabazz was pregnant with twins, when Malcolm X was assissinated. Raising her six daughters alone, Ruby Dee and Juanita Poitierr (wife of Sidney Poitier) raised funds to provide her a home and the royalties to the Autobiography of Malcolm X supported the family. Shabazz returned to school and eventually earned a doctorate in education from the University of Massachusetts in 1975. She became a college administrator and public speaker, often defending her husband’s legacy and discussing topics such as civil rights and racial tolerance. Her life also ended tragically, when she succumbed to her burn injuries from a fire her grandson ignited. Although she was wife of one of the most influential thought leaders in the civil rights movement, Betty Shabazz’s life history also provides a nuanced narrative of Black American life. She was a middle class, college educated Black woman who faced racism. She negotiated gendered norms in her marriage to develop a partnership with her husband. In addition, by putting Malcolm X’s life in context, we can take a critical look at ourselves in the sunni Muslim community, which failed to support Malcolm’s burial or his widow. Yet now, we find a sense of rootedness in his legacy. And when we talk about his legacy, how much do we honor the women who were closest to him. It would do a great disservice to speak about Malcolm X’s legacy without talking about his heirs. We should know their names and their struggles because they have largely born greatest burden in the loss of malcolm x. We should know more about Attallah Shabazz, Qubilah Shabazz, Ilyasah Shabazz, Gamilah Lumumba Shabazz, Malikah Shabazz and Malaak Shabazz. Attallah became involved in the arts and public speaking, Gamilah hip hop, Qubilah became embroiled a supposed plot to kill Louis Farakhan, Ilyasah Shabazz became a public speaker and author of Growing Up X and a children’s book titled Malcolm Little: the Little Boy Who Grew up to Become Malcolm X . Malcolm X’s daughters, whose life histories are storied and triumphant reflect the turbulent years following their father’s assassination. Their day to day struggles is a topic worthy of study and reflection on Black American Muslim life in and of themselves. Even separating their accomplishes from Malcolm X, these eight women point to extraordinary lives of Black American Muslim women. Centering women’s lives can give us a more nuanced sense of historical processes. Ella Collins shows us how social supports also played a role in supporting inspirational figures. Betty Shabazz provides a more nuanced picture of Black women in the 50s and 60s and how they navigated racism and gendered norms. Before the 1992 movie, while Malcolm X was being vilified and the sunni Muslim community largely distanced themselves from his legacy, it was largely Betty Shabazz and her daughters who maintained the Legacy of Malcolm X. We can’t truly honor Malcolm X’s legacy without giving thanks to the women who have shaped it.